Counting the number of moles on your body is a common way to assess your risk of deadly skin cancer, but the number alone is not all that matters, according to new research. 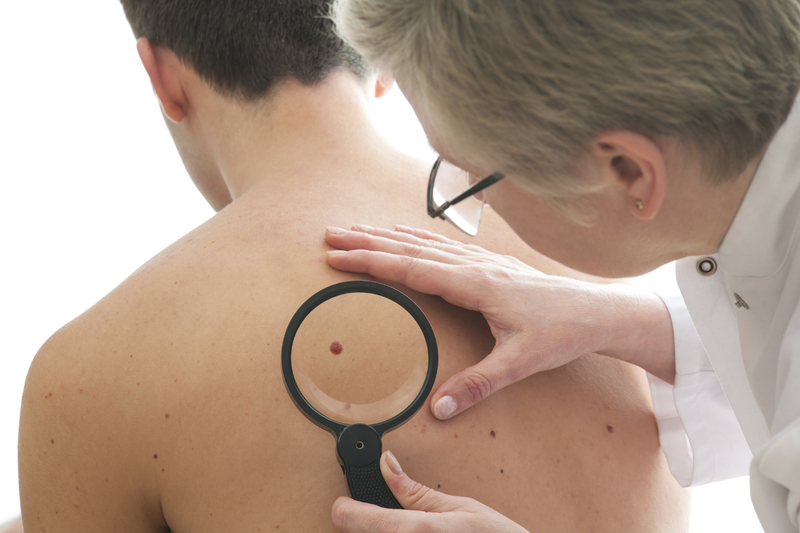 In fact, many people diagnosed with melanoma often have few moles, a study published today in JAMA Dermatology finds. "The main takeaway is that everybody should really have a baseline skin exam from a physician and people should be counseled on how to do self skin examination," study author Alan C. Geller, M.P.H., R.N., of the Harvard T.H. Chan School of Public Health, Boston, told CBS News. For the study, Geller and his team looked at 566 patients with melanoma with an average age of 57 and found that over two-thirds of them had zero to 20 moles. What's more, over 70 percent of these patients had no atypical moles. However, the research suggests that the way a mole looks remains important. The results showed that in patients younger than 60 who did have atypical moles, having more than five was associated with thicker melanoma -- indicating the cancer has gone deeper into the skin and thus may be more deadly -- compared with no atypical moles. The research, which received funding support from the drug company Merck, does not mean that counting the number of moles on your skin is a bad strategy for detecting skin cancer. Rather, people with fewer moles -- especially if any of them are abnormal -- should also be aware that they are still at risk. "Having a high number of moles is an important risk factor for melanoma, but what we're saying is if you don't have a lot of moles that doesn't mean you're immune to melanoma," Geller said. "So the importance of a baseline skin exam is to allow people to know more about what their moles look like and for doctors to tell patients which moles they should watch over time or get a family member to watch." According to the American Cancer Society, more than 76,000 people in the U.S. will be diagnosed with melanoma in 2016, and about 10,000 people will die of the disease this year. Geller said many of these deaths could be prevented by better patient and physician detection. "We'd really like to put the message out there that there's a greater risk of melanoma than we've been led to believe, and that there's something we can do about it," he said. "It's the only cancer you can see. When melanoma writes its message in the skin for all of us to see, patients, doctors, and family members can all play a role."